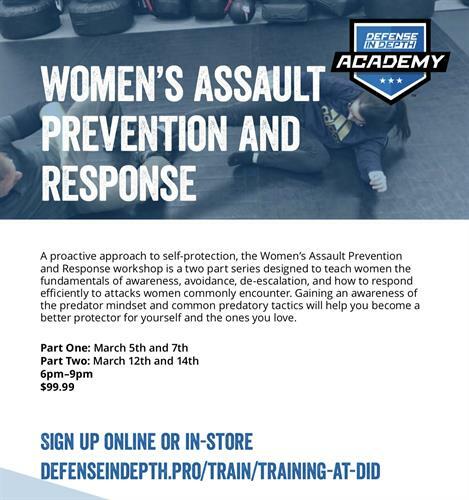 Defense In Depth is hosting a Women's Assault Prevention and Response course. This class is designed to help women react to threats they may face in the real world. It consits of two-parts and includes instruction on "preadtor mindset," common tactics used by predators, and effective responses to various grab, chokes, and strikes. Attendees will also receive tips on awareness, avoidance, and de-escalation.